The Visual Effects Society (VES) has unveiled the nominees for the 17th Annual VES Awards, the prestigious yearly celebration that recognizes outstanding visual effects artistry and innovation in film, animation, television, commercials and video games, and the VFX supervisors, VFX producers and hands-on artists who bring this work to life. 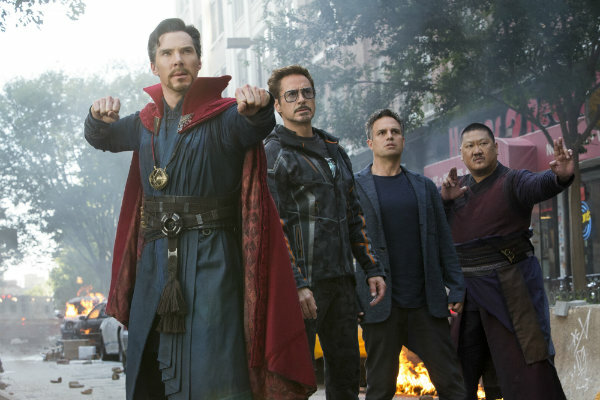 Avengers: Infinity War garnered the most feature film nominations with six. Incredibles 2 is the top animated film contender with five nominations and Lost in Space leads the broadcast field with six nominations. Nominees in 24 categories were selected by VES members via events hosted by 11 of the Society’s Sections, including Australia, the Bay Area, Germany, London, Los Angeles, Montreal, New York, New Zealand, Toronto, Vancouver and Washington. The VES Awards will be held on February 5 at the Beverly Hilton Hotel. As previously announced, the VES Visionary Award will be presented to acclaimed writer-director-producer Jonathan Nolan. The VES Award for Creative Excellence will be presented to award-winning creators-executive producers-writers-Directors David Benioff and D.B. Weiss. Award-winning actor-comedian-author Patton Oswalt will once again host the VES Awards. “The Visual Effects Society Student Award recognizes impressive work from emerging international VFX artists, and we’re proud to sponsor the award again this year. The submitted content continues to grow more complex, and collaborating with the VES to recognize up-and-coming talent is always an honor,” said Amy Bunszel, senior vice president, Design & Creation Products, Autodesk.